Having to attend an evening meeting in London of the Alliance of Independent Authors earlier this week provided a great excuse to spend an afternoon as a tourist in what used to be my home city. I was born and raised in the London suburb of Sidcup, and I still regard it as the centre of the world, and in particular Charing Cross Station, the central London terminus for the suburban line from Sidcup into town. Although the train from where I live now in the Cotswolds goes into Paddington Station, my first instinct is usually to hop on an Underground train and head for Charing Cross. 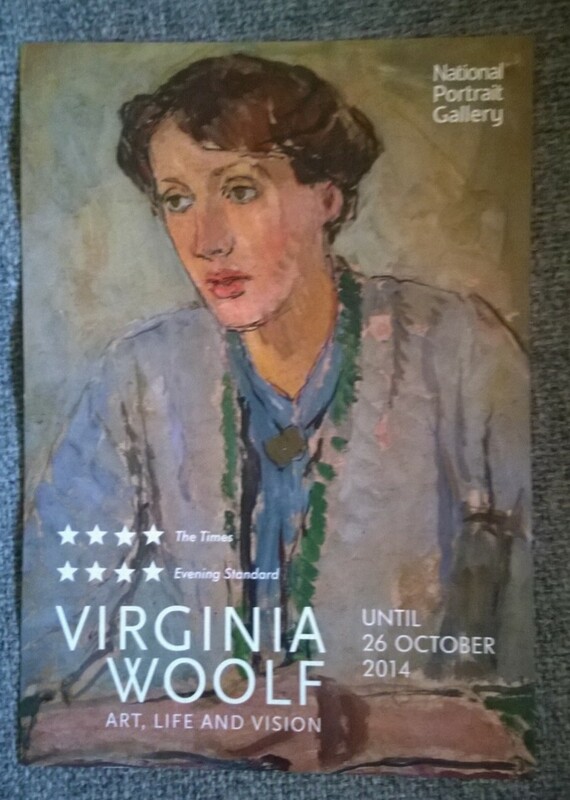 This visit was no different, as I wanted to catch the Virginia Woolf exhibition, running until 26 October, in the National Portrait Gallery, a stone’s throw from Charing Cross, just around the corner from Trafalgar Square. I have always admired Virginia Woolf since first reading Mrs Dalloway at university, where my tutor for a couple of terms was Woolf’s biographer Hermione Lee (before she was famous). I remember reading it in a single sitting, late into the night, curled up in my student study-bedroom, haloed by my anglepoise lamp. Ever since, I’ve had a photo of Woolf on my desk as a role model of an impassioned, purposeful writer not afraid to break conventions. 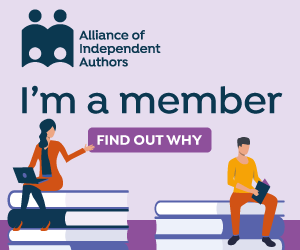 Since becoming immersed in the world of self-publishing, there’s been another reason for my interest in Virginia Woolf: she is often cited as being an exemplary self-publisher. 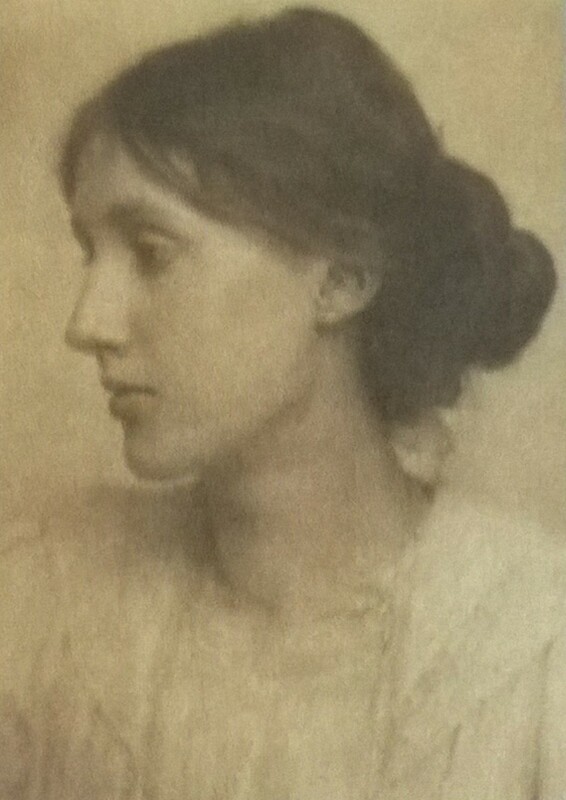 The National Portrat Gallery exhibition included not only photographs and portraits of Woolf and her family, and poignant artefacts such as her final letters before she took her own life, but also some of the early self-published editions of her books. These were produced via the Hogarth Press, set up with her husband Leonard, using a hand-press that they kept in their home. This required plates to be made up using moveable metal letters, the old-fashioned way. They had acquired only a limited number of letters, so they were restricted to making up only two pages of each book at a time. Because Leonard had a congenital tremor in his hands, most of the typesetting was done by Virginia herself. Now, I’ve always been irritated whenever I’ve read in an interview that an author was inspired to write books by the acquisition of a typewriter (as if buying a paintbrush would make you a painter!) But I am much more accepting of Virginia Woolf’s statement that having her own press encouraged her to be more experimental in her writing, because she could print whatever she liked, without a publisher’s intervention. The Hogarth Press’s first publication using the newly-acquired hand-press was a slim volume Two Stories, one by Virginia (The Mark on the Wall), the other by Leonard (Three Jews). They produced 150 copies. 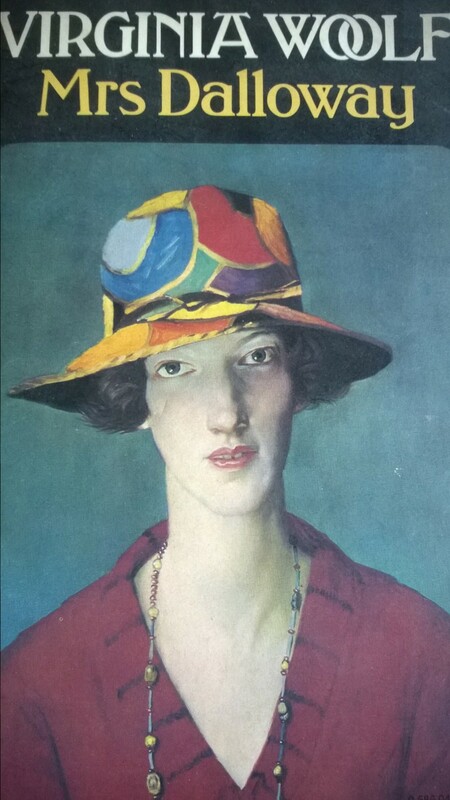 The Hogarth Press went on to publish not only more of Virginia’s books but also groundbreaking work such as Katherine Mansfield’s The Prelude and T S Eliot’s The Wasteland. It was very exciting to be able to view some of these early works on display at the exhibition, with their distinctive cover designs by her sister Vanessa Bell. If the Hogarth Press doesn’t vindicate self-publishing as a source of important, significant fiction, I don’t know what does! They were, incidentally, offered first refusal of James Joyce’s Ulysses, but, presumably mindful of their laborious two-page-at-a-time process, turned it down because of its length. But there was another book on display that made an even more powerful impression upon me: a thick hardback the size of a household dictionary, and one that I’d not seen before. This was a Nazi directory listing all of the British citizens that in the event of a German invasion and victory would be arrested and executed. The page was open at the end of the W section, and there on the page were the names of both Leonard and Virginia Woolf, with brief descriptions in German. (I think hers just said “Schreiberin” – authoress.) Ironic and heartbreaking that in the same display case lay the walking stick that she had used on her final walk down to the river in which, pockets weighted with stones, she took her own life, unable to face another episode of the mental illness that had plagued her since her youth. Unfortunately photography was not allowed in the exhibition, so I can only describe these things from memory, and can’t show you pictures. But if you happen to be in London between now and 26 October, and have anything to do with writing or self-publishing, do stop by. I promise you, you’ll return home freshly inspired to write what you believe in and to wear your self-published status with pride. I don’t like very crowded exhibitions either, Clare, and this wasn’t too busy at all. I hadn’t been to the NPG for years and the space that this particular event is in is really light and airy, so was very pleasant. I recommend the coffee shop in the basement too – I had a very nice bowl of soup there! I haven’t read Nicholson’s Diaries but will look out for them.